Hippy Baker mini digital baking herbal vaporizer. 2 Colors to choose from Black and White. 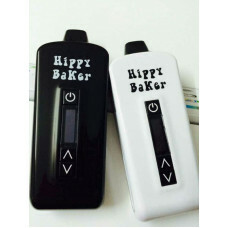 Hippy Baker offers you the best in baking vaporizers on the market with a sleek and clean look for any situation which makes this Vaporizer vape away the competition. No combustion just complete vapor. Hippy Baker has a ceramic chamber for optimum flavor for your vapor experience. Hippy Baker is digitally controlled with a baking temp setting of 300F-435F on a digital screen with easy to use up and down arrow buttons. Heats up to desired temp within 20 seconds. Rapidly press on button 5 times to turn on and off. There is a power safety time of 5 minutes. The battery is 2200 mah and charges within a quick 3 hours. 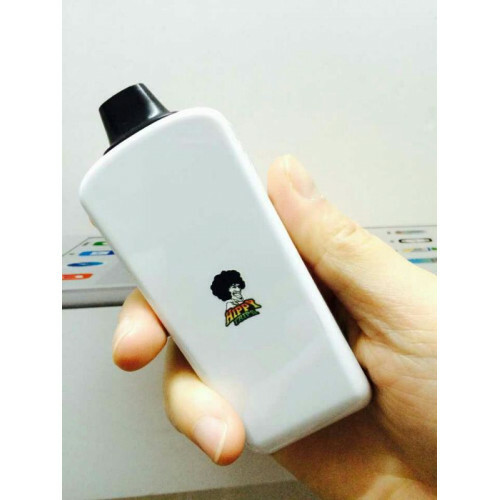 To clean just use the brush tool and every now and then a q-tip or paper towel dipped in iso alcohol to maintain quality performance of your New Hippy Baker mini digital baking vaporizer. This complete kit will give the satisfaction you have been longing for with a true vapor flavor and quality. Easy to use which makes it even better to enjoy the cleanest baking vaporizer.